Oulun Energia Areena or Oulu Ice Hall is an arena in the Raksila district of Oulu, in Finland. It is primarily used for ice hockey, and is the home arena of Kärpät. It opened in 1975 and holds 6,614 people. The arena's former name was Raksilan jäähalli. 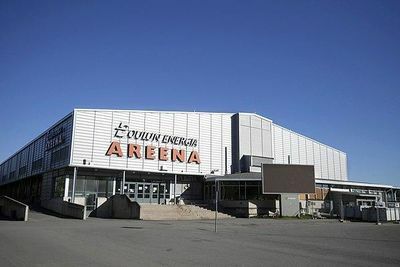 The name was changed to Oulun Energia Areena in 2006, after a sponsorship deal with Oulun Energia, an energy company based in Oulu.